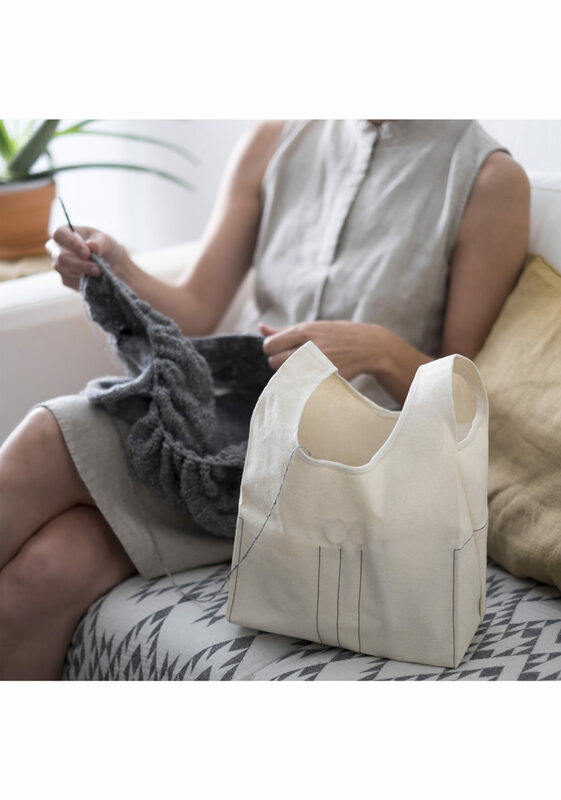 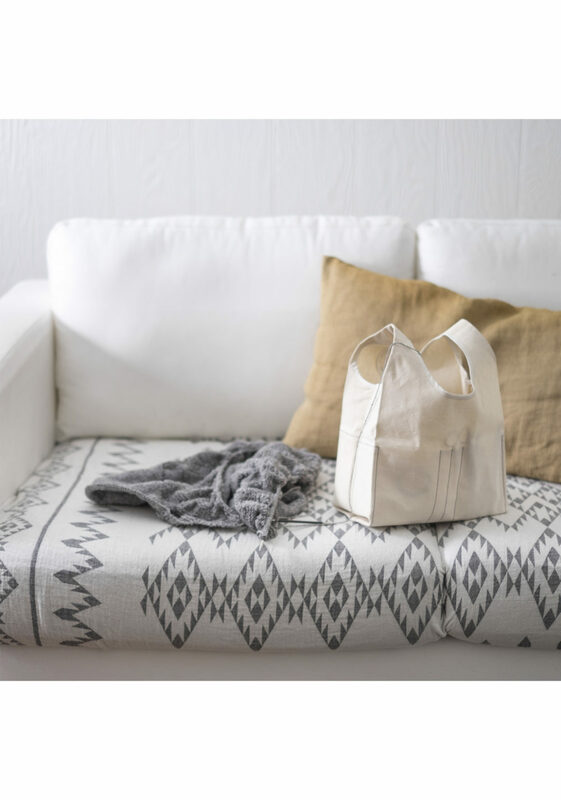 Designed by Fringe Supply Co. purveyors of fine knitting supplies Stowe is the ideal project bag - whatever your project may be! 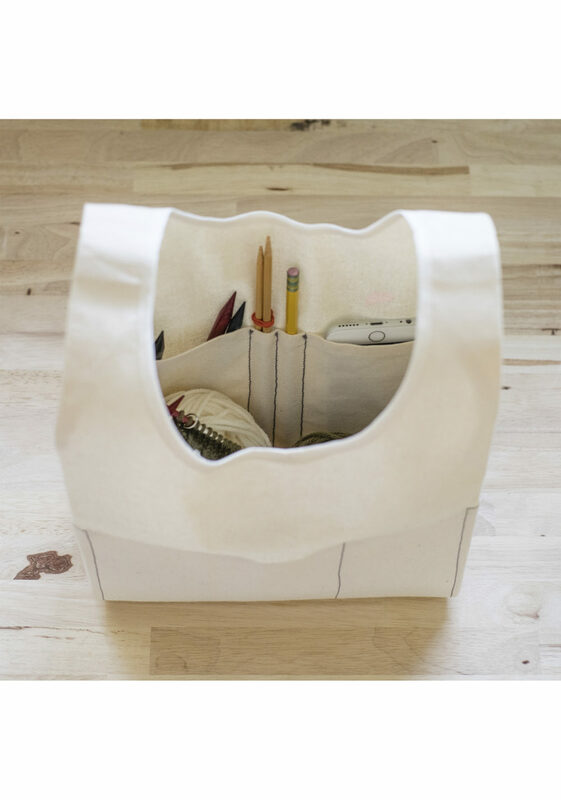 The main compartment is perfect for works-in-progress while the many side pockets organize small tools patterns & notebooks. 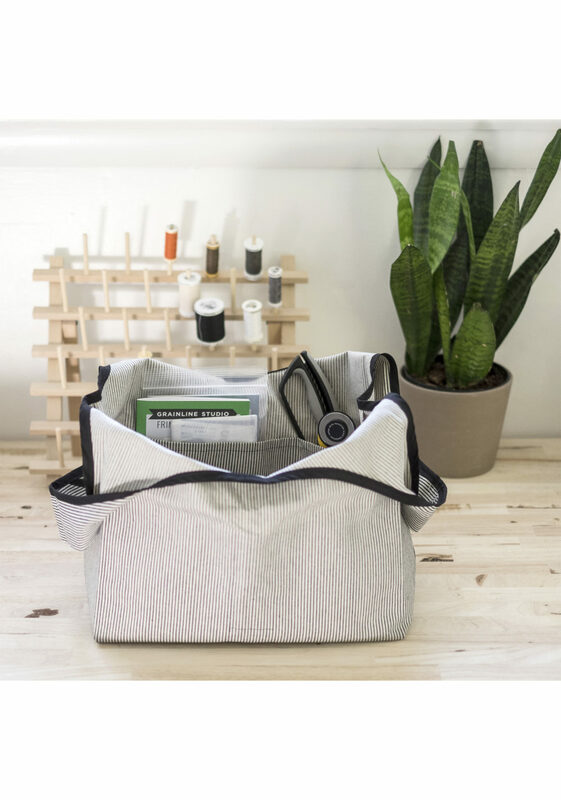 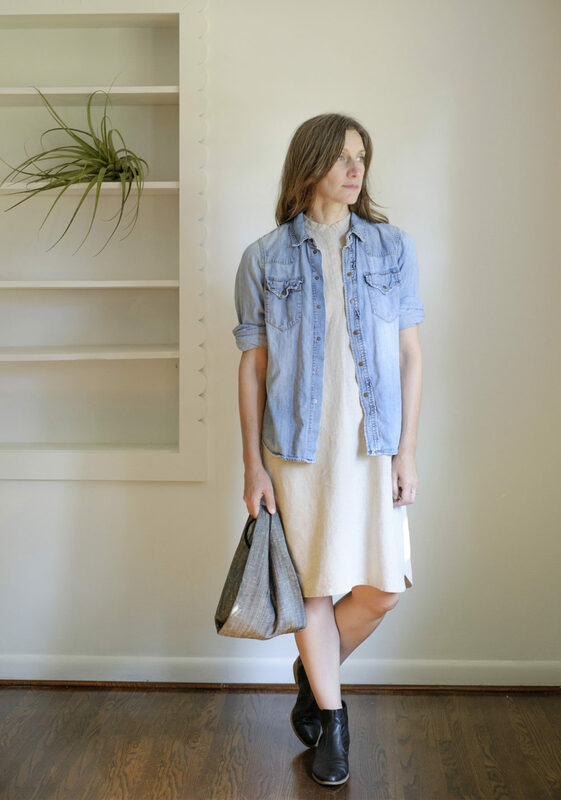 It may have been designed with knitting in mind but you'll find it equally useful for a variety of purposes from travel to everyday!Techniques involved include sewing a straight seam and applying bias binding. 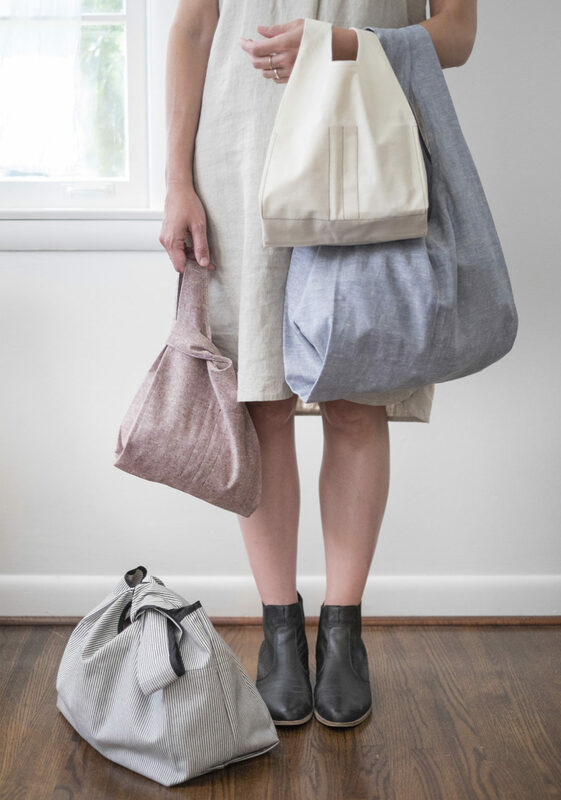 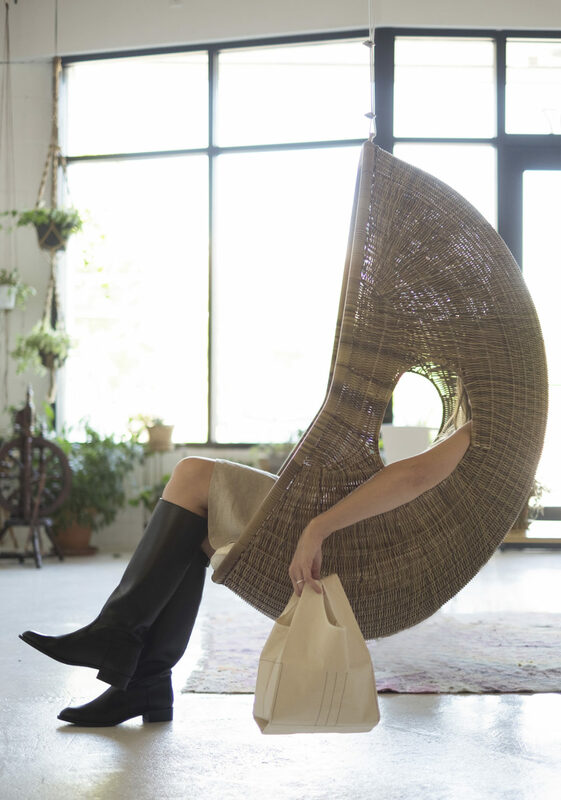 Suggested Fabrics ...Medium weight woven fabrics such as denim linen twill and canvas. 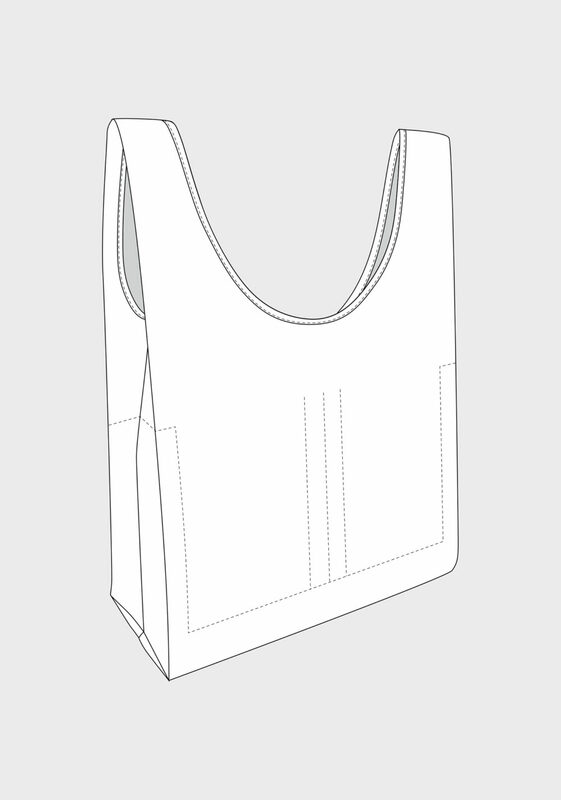 Fabrics over 9oz are not recommended for this pattern because of potential sewing machine difficulty.